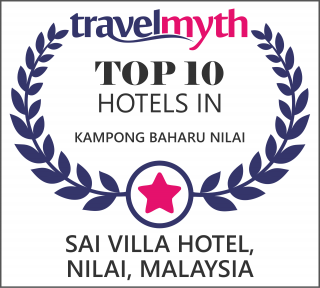 Sai Villa Sendirian Berhad, Nilai is situated 40 minutes’ drive from Kuala Lumpur, 20 minutes to Kuala Lumpur International Airport (KLIA & KLIA 2) and Sepang International Circuit (SIC), and Putra Jaya is 30 minutes’ drive away. Each room features with electronic door lock, LCD or LED TV with ASTRO satellite channels, individually controlled air conditioning and bottled water. Featuring a shower, a private bathroom also comes with toiletries. Guest can head to the 24-hour reception for assistance for airport shuttle service, fax or photocopy and use of meeting facilities.